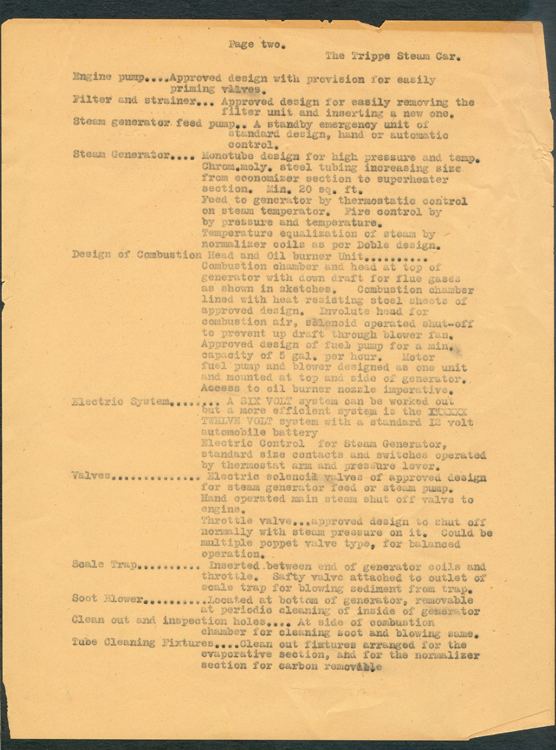 Little is known of the Trippe Steam Car or his Steam Cycle, other than the documents and photograph below. 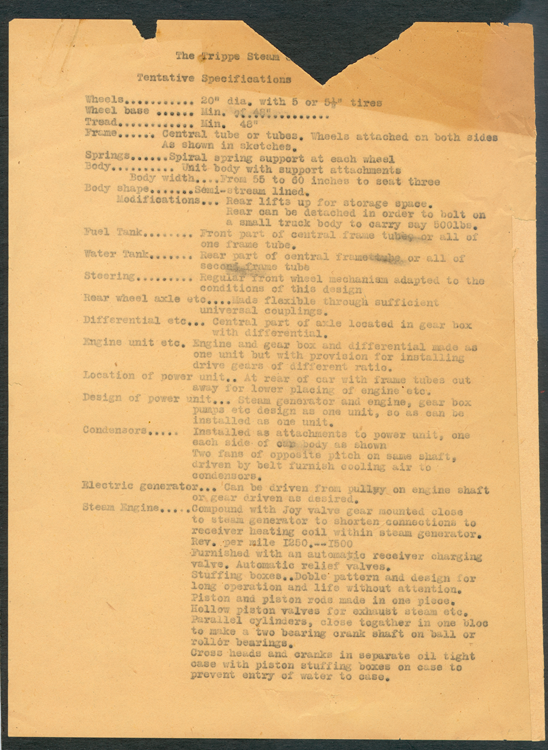 The three-page Tentative Specificiations for Trippe's Steam Car are dated Auguts 6, 1945. 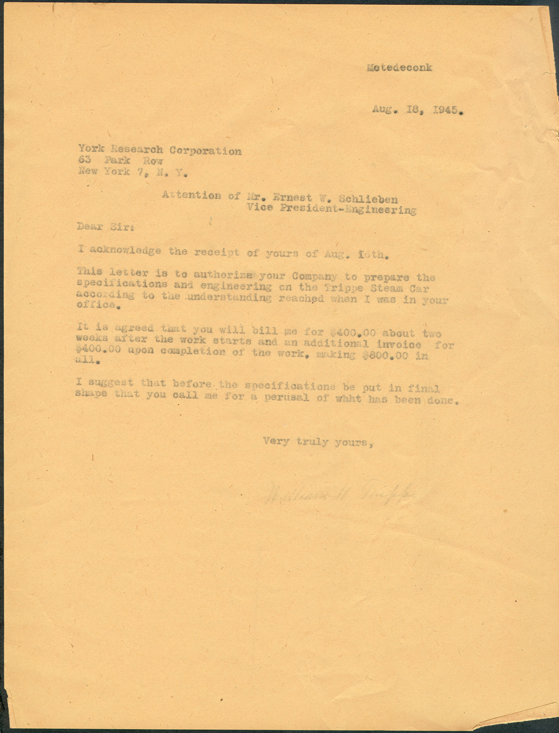 On August 16, 1945, Ernest Schlieben wrote to Trippe from the York Research Corporation quoting prices for preparing the steam car's specifications further. 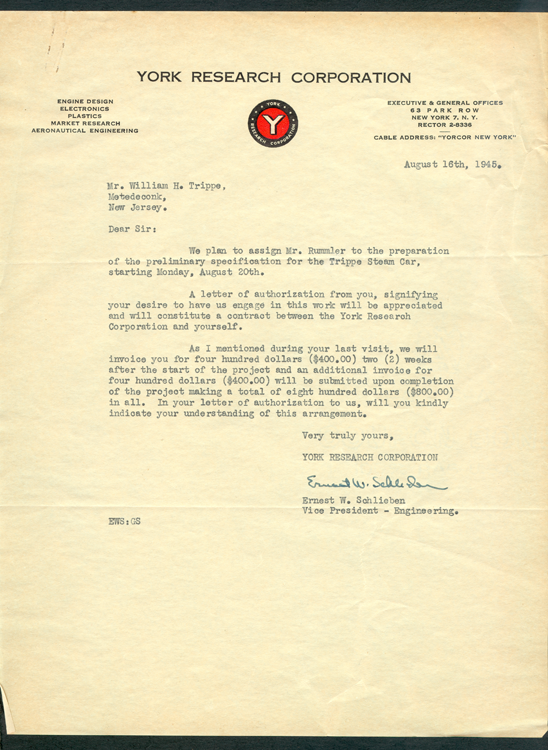 On August 18, 1945, Trippe wrote to Ernest Schlieben authorizing York Research Corporation to proceed at the prices Schlieben had quoted. 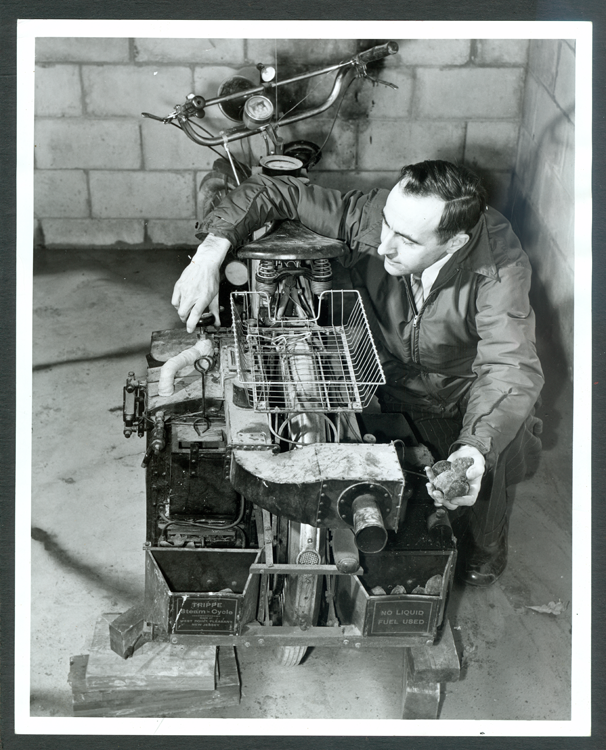 This photograph dated February 17, 1952 identifies the person in the photo as Wesley J. Trathen, apparently a collector of engines. The label on the vehicle reads Trippe Steam-Cycle Made By West Point, Pleasant, New Jersey. 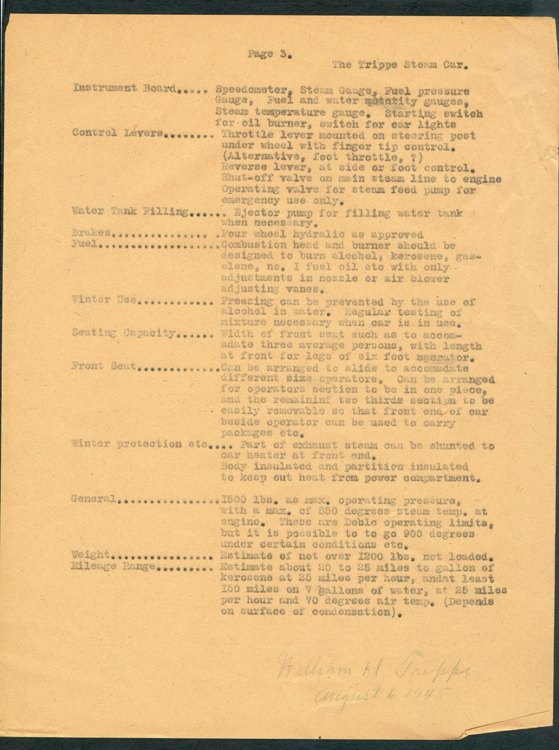 At the right, the label reads NO LIQUID FUEL USED. 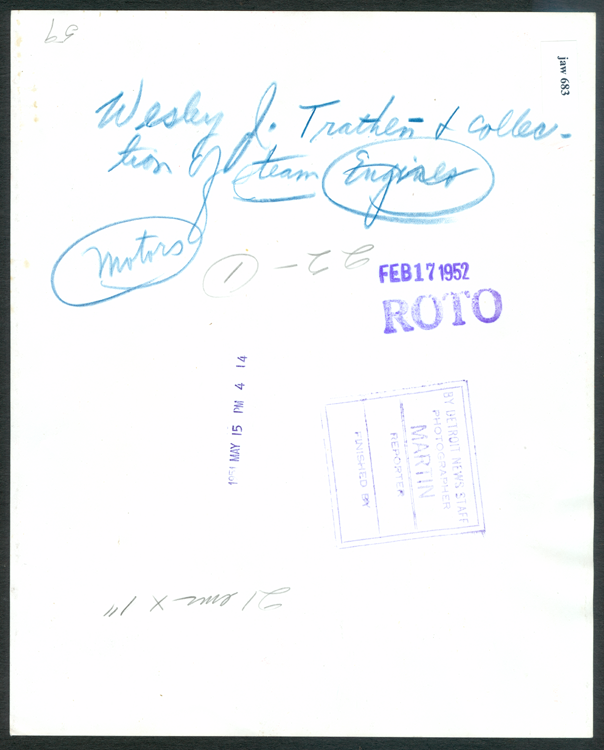 If anyone knows anything more about Mr. Trippe and his work, please contact the Virtual Steam Car Museum.